Home > Economics > National Investment Bank: Mission Possible! National Investment Bank: Mission Possible! 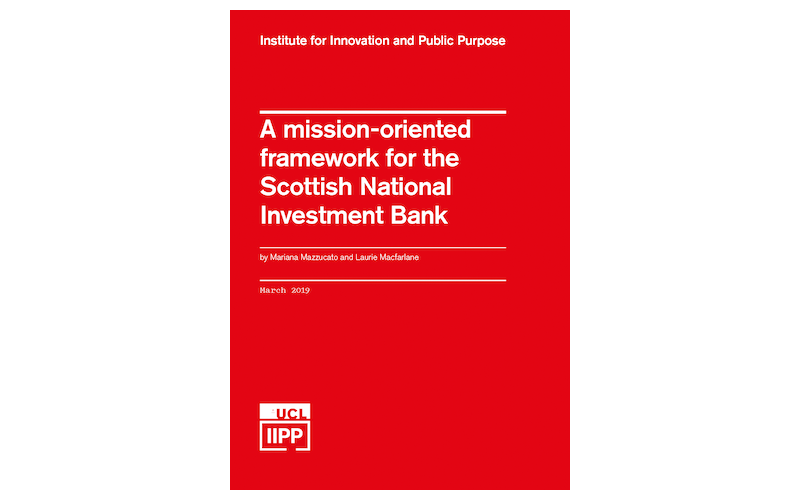 LAST week Nicola Sturgeon was presented with an important new policy paper on the upcoming Scottish National Investment Bank (SNIB) prepared by Professor Mariana Mazzucato, of the Institute for Innovation and Public Purpose at University College London. 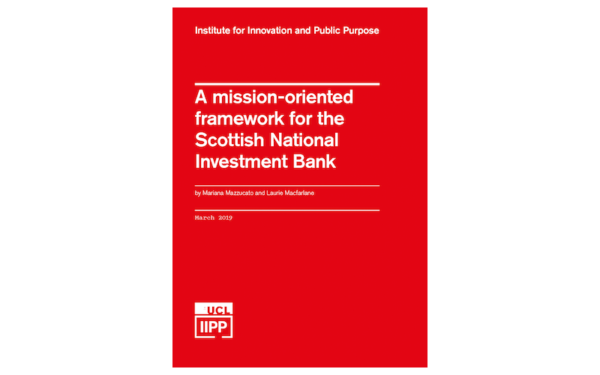 The report was co-authored by Laurie Macfarlane and recommends the SNIB – which should be operational next year – takes a ‘mission-oriented’ approach to investing and lending. Mazzucato has become synonymous with the ‘mission driven’ approach. Basically, this says that the strategy of a public investment bank should be guided by defined and realisable goals; e.g. converting the economy to renewables or building enough social housing units to eliminate homelessness. The benchmark for who gets what cash from the bank is therefore defined by the contribution of each potential project to meeting the mission target. Mazzucato says there is a huge contrast in effectiveness between state investment banks that are ‘mission driven’ in this sense – geared to solving big societal problems – and those which focus on vaguer commercial outcomes (such as ‘competitiveness’). Or bodies like Scottish Enterprise, which aim to boost particular industrial sectors and are captured by producer business interests in the process. The all-important question is, of course, who gets to set the SNIB’s mission goals? The SNIB’s Board and senior managers are likely to be from a conservative commercial banking background and therefore risk-averse. Besides, bankers are the last folk who should set society’s goals. However, the published implementation plan for the SNIB – prepared by civil servants – recommends the creation of a separate, external advisory group distinct from the Board. This is supposed to consist of reps from “stakeholders” and wider civic society. The advisory group would report to Scottish Government Ministers on the bank’s mission goals, and the minister would then direct the bank’s management. Mazzucato notes this is “a good starting point”. However, she recommends that steps need to be taken to ensure that input from the advisory group “is meaningful” and that its members “are drawn from a diverse cross-section of society”. I agree in theory though with qualifications. Certainly, the SNIB advisory group needs to be drawn from outside the banking and narrow business community. But equally, if it consists of a random selection representative from diverse interest groups, it will end up a federation and a talking shop. We will have dozens of worthy political “missions”, meaning the SNIB’s professional managers can effectively do what they like. The solution is straightforward. The advisory board should not seek to represent every possible interest group within its own membership, though it should consist of those with relevant experience (in science, housing, economics, engineering etc). Instead, it should be tasked specifically with engaging with Scottish society in an organised way, and on that basis prepare a 5-year mission plan. To achieve this, it would have to have a small, professional planning unit at its disposal. Result: a public planning agency would be born in embryo. Talking of state investment banks, the UK used to have one in the shape of the Green Investment Bank, headquartered in Edinburgh and dedicated to funding green and environmentally-friendly infrastructure projects. But the GIB was flogged off by Chancellor Osborne to the Australian vulture capitalist Macquarie Bank, though with the proviso that it would continue with its “green” mission. As an MP, I fought hard against the sale. Later, the National Audit Office issued a rebuke to the UK Treasury for selling of the Green Bank below its proper value. Macquarie only wanted GIB for the brand, so it could muscle-in on public contracts and (above all) sell itself internationally as a born-again ‘green’ institution. That would enable it to borrow in the City on a large scale and use the cash to buy energy assets around the globe. Surprise, surprise, no sooner had GIB been bought by Macquarie than it downgraded its investment in the UK and ramped up spending abroad. Result: Macquarie has moved heavily into CO2-emitting oil and gas assets. This week the media was full of astonishment that fully a third of bank branches in Scotland have closed since 2010. These stats came via Which?, the consumer watchdog. Which? found that 610 Scots banks and building societies had shut their doors between 2010 and 2018. The obvious question is why nobody in the BBC or print media seemed to notice what was going on before Which? calculated the numbers. Meanwhile, the main banks – RBS in particular – pretend they are making arrangements for people to continue to physically access facilities. 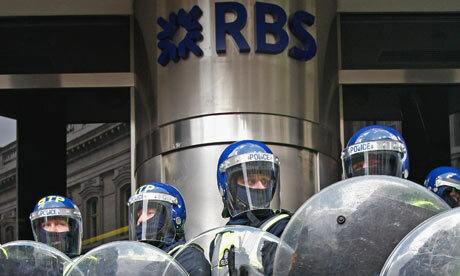 The truth is that RBS fully intends to become an internet bank in order to cut costs. RBS has only one strategy under boss Ross McEwan which is to reduce overheads to the absolute minimum. I see there’s a motion to SNP Spring Conference (from Keith Brown and Annabelle Ewing) calling for Scotland’s due from any sale of publicly-owned RBS shares to be invested in A Fund for Future Generations – to be managed by the Scottish National Investment Bank. Why not just keep RBS in public ownership and fire Ross McEwan?